So Much To Do And See…. 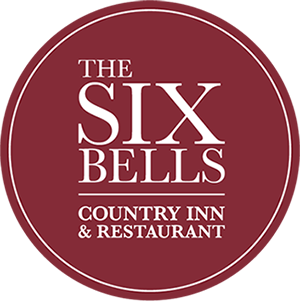 The Six Bells is situated in the Heart of East Anglia and is an ideal location from which to explore the many attractions of the region…..
Visit the National Trust historic houses and gardens at Ickworth House, Melford Hall, Lavenham Guildhall, Oxburgh Hall and Thorington Hall. Visit Wicken Fen National Nature Reserve – The National Trust’s oldest nature reserve and Englands most famous fen. Go see or watch something at the Theatre Royal in Bury St Edmunds – the only surviving Regency playhouse in Britain. Visit the Anglo-Saxon burial ground at Sutton Hoo, one of the most fascinating and important archeological finds in this country’s history. See the award winning gardens, the ancient Abbey ruins and St Edmundsbury Cathedral in the local historic town of Bury St Edmunds. Also home to Greene King Brewery which you can visit and take a tour of. You can also enjoy the market days in the town centre on wednesdays and saturdays. Go to High Lodge Forest Centre with 30 miles of bike and walking trails from which to explore 50,000 acres of forest. You could try out “Go Ape” (the UK’s no. one tree top adventure the award winning forest adventure) with Thetford being the original and the best tree top adventure course or go off the beaten track using the forest segways. Go racing at Newmarket Racecourse, experience the exhilarating world class flat racing, great family days out, pulsating musical nights and award winning restaurants. Or Visit the National HorseRacing Museum and the National Stud. Bressingham Garden Centre – Famed for its iconic pavilioned design and catering with a sleek modern restaurant. Go back in time and enjoy the Victorian seaside towns of Southwold (Home of Adnams Beers) and Aldeburgh. Southwold is a charming north Suffolk seaside town with much of interest, with a working lighthouse, award winning pier, busy harbour, water towers, museum, cliff top cannons and of course the beach. Home to Adnams brewery which offers tours and tasting or visit one of the Southwold pubs for a taste of Adnams. Aldeburgh is a coastal town located on the river Alde, its notable for its blue flag shingle beach and yaught club, and its fisherman beach huts where freshly caught fish are sold daily. Also with Moot Hall, Martello Tower, The fort Green Mill and he land sculture ‘The Scallop’ as point of interest. Go see the animals at Banham Zoo, Spend the day seeing over 2000 animals in almost 50 aches of parks and gardens with birds of prey displays, Giraffe feeding, Penguin pool, the subtropical house, tigers and snow leopards, farm barn, feed the Meercats and much more. They have a free ‘Roadtrain’ that takes you around the park if you wish, activites and education centre an aerial trekking course and zipwire, an on site restaurant and snack shacks and a souvenir shop. Visit Knettishal Heath where the ‘Peddars Way’ starts or try some of the walking routes, or at West Stow Country Park with its recreated Saxon Village. Explore the colleges at Cambridge including the famous Kings College or take a punt along the Backs. Sample some wine at one of the many Suffolk vineyards, Wyken Hall and Vineyard are only a couple of miles away. Euston Hall – home of the dukes of Grafton for over 300 years with the hall dating back to the middle ages with extensive gardens, Church, Watermill and a shop and tea rooms. Houghton Hall – Built in the 1720’s by Britains first Prime /minister, Sir Robert Walpole, with award winning 5 acre walled gardens, Rose parteere, sculptures and fountains within, a park, and The Stable Square with gift shop, restaurant and model soldier museum. Helmingham Hall – A moated Tudor hall set within a 400 ache deer park with Grade 1 listed gardens, with coach house tearooms and stable shops and events and cookery experience days availiable as well. Sandringham House – Sandringham House in Norfolk has been the private home of four generations of Sovereigns since 1862. The Queen and other members of the Royal Family regularly spend Christmas at Sandringham and make it their official base until February each year. Sandringham House, Museum and the grounds are open to visitors are open to visitors.